The last Games of the Week post before Halloween means one thing: we’re definitely not talking about spooky games. After all when the whole world is spooky, why would you want even more of the same? Surely someone drowning wouldn’t ask for a glass of water. Ok our recommendations this week have a little Halloween in it so you’re not entire without water but there are all kinds of experiences to dive into this time. Happy Halloween, play some games. The most Halloween-themed entry in our list this week, Magical Witch Bell and her Non-Magical Friends is the farthest thing from traditional October fare. 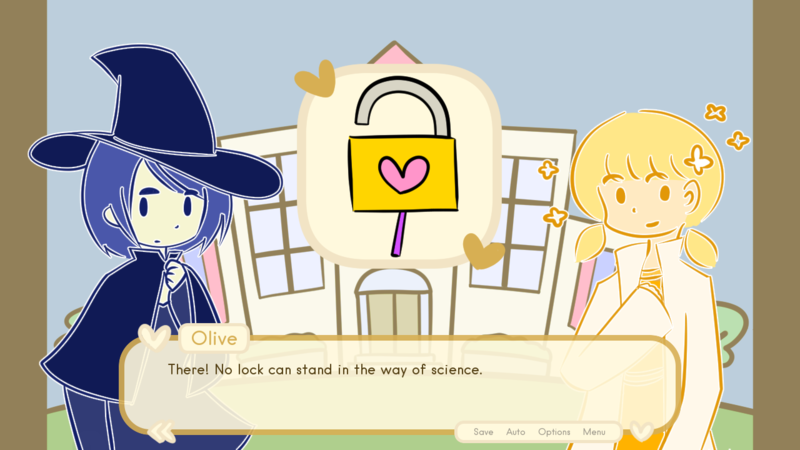 In this adorable adventure you’re a young witch who has to figure out what’s going on in her small town and make friends along the way. It’s not a rare concept but what makes Magical Witch Bell stand out is how cute literally everything is. The characters are cute, the writing is cute, the plot is cute. It’s just cute all the way down. Adding to the appeal of Magical Witch Bell is how compact it is. The run-time is under an hour and none of the elements overstay their welcome. If you’re itching (pun) to jump in, the game was released for free as an entry in this year’s Yuri Jam. Y’all ready to get weird up in here? Dujanah is the latest game from gonzo developer Jack King-Spooner and it’s a trip. In true gonzo style the game is both personal -- it’s a story about the developer’s grandfather-- but it’s also strange with claymation visuals and surreal character designs. I haven’t been able to complete Dujanah yet (it’s a sizable project) but I feel confident in recommending the game. If the visual style or the story behind the game appeal to you, check Dujanah out. It’s certainly one of the more memorable gaming experiences you’ll have this year. The Spicy Meatball Saves the Day is a game that could get by on its technical premise alone. 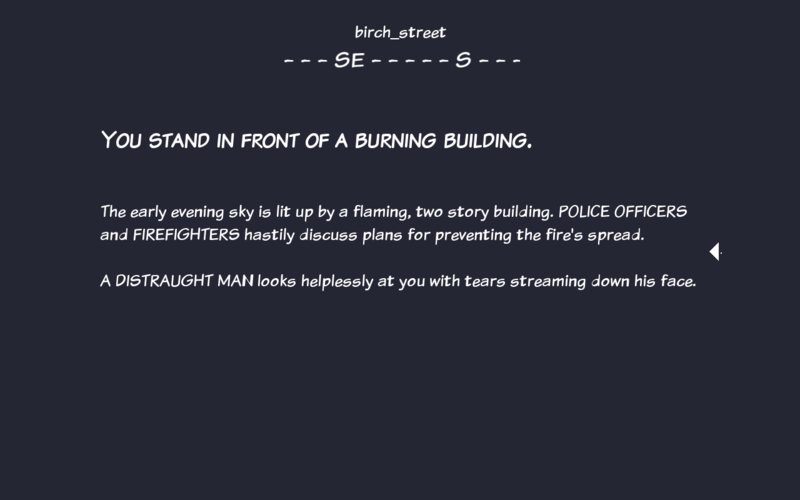 It’s a text adventure that plays like a first person adventure. As you spin your mouse around to look in different directions you’re greeted not with rendered polygons but prose. There’s a small compass on screen to keep you from getting disoriented and I realize that the concept may seem hard to play but it’s shockingly smooth. Beyond the technical conceits, the Spicy Meatball is a funny experience that really plays with the technology it’s built on. I was consistently surprised by the game throughout my time with it. Spicy Meatball also got a major update about a month back that added a ton of features and a rad soundtrack.